Find local London classified Ads for jobs, housing, services, community, events and more. WANNA POST A CLASSIFIED AD ON LONDON DIRECTORY? London Directory Classifieds empower you to advertise and reach out to millions of Londoners and tourists absolutely free. Use our user friendly wizard to publish local classified ads, with photos and contact details in just a few clicks. As you post your classified advertisement, we will go one step further and attach a free contact form – allowing Londoners to get in touch with you right from within your classified ad. What’s more, you’ll be able to manage, amend and close classified adverts from within your personal London Directory account dashboard. 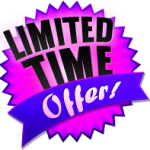 Take up this limited offer by hitting the button below and advertise for free on London’s own branded directory. London classified section is currently being expanded to improve user experience.